Here are 10 more questions coming up. We’d be happy to do a part 3! 11. What are the Penguin, the Panda, the Hummingbird and the Pigeon algorithms? For a really in-depth explanation of all the updates and what they mean, check out this post by Moz Blog. We’ll give you the summarised version. Basically, Google updates its algorithm as people’s search habits evolve and as less-than-white-hat practices emerge, giving sites an unfair advantage in the search engine rankings. The Pigeon update took place in July 2014, and referred to a major update in local search listings, which resulted in some local businesses seeing their YELP listings ranked above their own branded websites. Categories like real estate and jobs were negatively impacted while others, like hospitality, were positively impacted. The Hummingbird update referred to a shift in Google’s search algorithm to include signals about context, intent and semantic signals. This started with Knowledge graph and further advanced with the introduction of Google Now. We wrote a blog post about it at the time, which includes more info. The Panda update was designed to reduce rankings for low quality sites; having the biggest effect on those sites that were practicing SEO tactics like placing keyword stuffed, low quality, duplicate content all over their sites. Sites with original and informative content reaped the benefits of this update. This update has been updated several times since its announcement in February 2011. The Penguin algorithm updates penalised those websites that were practicing less than white-hat linkbuilding tactics. Sites with over-optimised inbound links, links from article marketing sites with thin content, poor quality and non-relevant inbound links, spammy keyword use in comments, user names, page titles, footer links and other such tactics, saw their rankings dropped and their overall search visibility diminished. 12. Why can’t I just buy a domain with our keyword in it and rank #1? Because it is not as easy as that. There is a lot of competition in the marketplace and therefore sites have to work harder to appear higher in the Google search results. 13. What are rel=canonical tags? A canonical tag is a piece of code you insert into your pages. With a rel=canonical tag you can tell search engines that some pages are the same as others, and tell the search engine which one of these should be indexed; you basically show the relation between pages. This way you prevent getting penalised for duplicate content. For example, if you’re selling digital cameras you might have 20 of the same pages, the only difference being the amount of pixels and price, but search engines will see these as 20 duplicates. When 19 of them have a rel=canonical to the cheapest camera, search engines won’t see them as duplicates. 14. If I have more pages than my competitors, will I rank better? Not necessarily. If the pages aren’t high in quality, you won’t rank well. Instead of actually helping you, adding too much content, especially mediocre content, can hurt you. The Panda update explained in question 11 specifically targeted sites with low quality content. Such sites got penalised, and their search traffic dropped. A good example of this is Wise Geek. They once dominated the rankings due to their large quantity of content, but they got hit hard by Google’s Panda update due to low quality content. The lesson to take from this is: Don’t create sites with thousands of pages. Focus instead on creating high quality content. 15. Do you need to know HTML to do SEO? Yes, it is important to understand HTML and know some of the coding as it does impact SEO. However, you don’t need to be an expert at it, so understanding the basics should already give you a strong foundation. 16. Does every business need a blog? What is the benefit? We do recommend that businesses add fresh content regularly. Search engines look at so many different things when deciding where to place you in the rankings, and “freshness” is one of them. For most businesses a blog is the perfect solution to add regular new content to show search engines your website is up to date. These blog posts will also give you ways to link build and give other people reasons to link to you. If the blog is informative and answers the types of questions your customers might have, then it can also help you convert those visitors into customers. 17. Is SEO alone going to make me rank higher? Although it definitely helps you rank, it doesn’t give you more conversions or leads if your website is irrelevant to the user. You need to make sure your website is up to date, that it has good functionality and provides a good user experience, and that it answers the user’s search query. SEO won’t do much for you if you never update your website or never add any fresh content. 18. Will I rank better if I put lots of text everywhere? Yes and no. 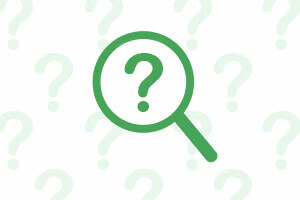 Text helps search engines understand what your website is about. You will need text on your pages, but by overdoing it you’re creating a bad user experience. Adding loads of text purely for the sake of SEO will likely get you penalised. Only add text that is relevant for the user. 19. What is semantic search? Semantic search seeks to improve search accuracy by understanding searcher intent and the contextual meaning of terms as they appear in the searchable dataspace, to generate more relevant results. This is done by looking at natural language interpretations of a query instead of just a strict definition according to a keyword “exact match”. For more on this, refer back to question 11 where we discussed the Hummingbird algorithm update. 20. How can PR and SEO integrate? The PR department can influence a variety of key areas that are important components of SEO and therein lays the opportunities for the PR pro to contribute to – and benefit from – the company’s SEO program. Savvy PR pros will understand and use the keywords that have been identified by the SEO team within all PR correspondence. Keywords can be used in press releases, blog posts, integrated into spokespersons’ language and media training. Doing so will increase the likelihood that articles and blog posts about the organisation will contain those keywords. We wrote a blog post about optimising PR campaigns, which provides more info. Developing relationships with bloggers and linking back to their blogs (via trackbacks) within your own blog when appropriate will also contribute to SEO and ensuring that PR coverage contains links to the website will aid linkbuilding activity. Savvy PR pros will consider how publicity efforts can support and leverage the organisation’s SEO strategy- to produce better results that are highly measurable. Spending some time understanding your organisation’s SEO strategy and learning how those results are measured will open up new and exciting opportunities for your PR campaigns.